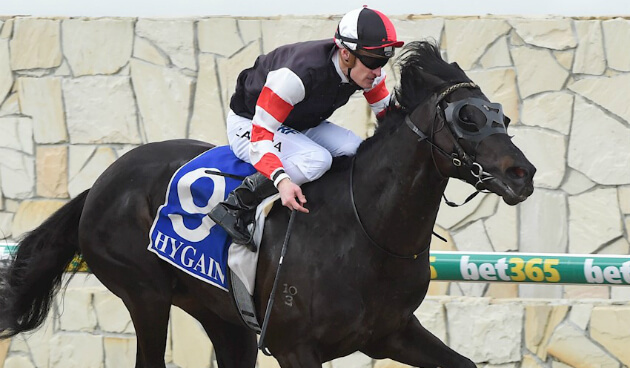 Sandown provides one last Spring chance for the stayers. Melbourne pro Trevor Lawson has his take on the Zipping Classic. A lightly-raced track at this time of year so there should be no issues in terms of bias, and the small field will mean they all get a chance. It just depends on the rain. They’re forecasting some 5 – 15 mms before the meeting, and it’s a case of how much of that comes, and when. It should be a Good 4, possibly dropping to a Soft 5 if we get the higher rain estimates. I think Big Orange will lead. He didn’t in the Cup, but he was out front in his previous few runs in Europe and should resume that here with less competition. Secret Number and Tristram’s Sun will also go forward. Who Shot Thebarman (Waller / Bowman) defends his crown here. I reckon his Cup run was good and that form means he can run up to his best here. He just got too far back at Flemington, but he then reeled off the third fastest last 200m of the race and made pretty good ground. Close by was Almoonqith (Hayes & Dabernig / Oliver), and I think they’ll be close here as well. They finished very closely together in the Cup after both getting back. I’m finding it very hard to split them. Beautiful Romance (Saeed Bin Suroor / G Schofield) was about a length behind Who Shot Thebarman, and battled away reasonably well in the start after blowing the start and settling well back in the field and on the fence. Big Orange (Ball / Lane) is just one of those internationals that’s bloody hard to get a line on. Rated to his best he looks very good here. But he’s had two runs here (the last two Melbourne Cups) and both have been rank average. Does he just not go in Australia? Getting an Aussie jockey in Lane may at least help. Secret Number (Saeed Bin Suroor / Baster) inspires more confidence. He had nearly a year off and then came back in September to win the Doonside Cup at Ayr. He went straight to the Melbourne Cup then and finished at the tail, but it was definitely one to forgive: he was four-wide and working the whole trip and was gone by the final turn. His only other run in Australia was an impressive second in last year’s Queen Elizabeth. So Si Bon (Laing / Williams) is progressing. He ran well over 1600m in the Caulfield Guineas, went straight to 2040 at the Valley, and then again straight to 2500m at Flemington, and was well held. He should go alright here. Tristram’s Sun (Laing / McEvoy) and Transfer Allowance (Roche / Symons) have no chance. It’s a bloody tough race (aside from those last two mentioned). I’m with Who Shot Thebarman just, with Almoonqith right in it too. Betting will depend what the market does, as it’ll move a fair way from where it’s at now.